We offer a service tailored to suit your needs. All properties are marketed with the same degree of professionalism, whether it is a studio flat or six bedroomed house we put all our effort in obtaining a sale. And if you are in the market to purchase. We will guide you through the process to make it as easy as possible until you reach the final completion and exchange date. All our properties are advertised on Zoopla, the most popular property site and Prime Location also on our social media sites Facebook/Twitter.Your property will also be advertised in our shop window. We will print coloured advertising material along with floorplans of your property. We are determined to become YOUR AGENT OF CHOICE. 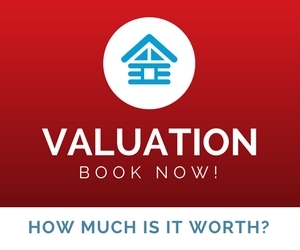 With a highly competitive price structure you wont be disappointed in choosing JD Hall Estate Agents. "You did a great job of showing us round a property and straight away we knew it was for us and from that moment it was full steam ahead. You also found the perfect buyers for our home and the whole process of buying and selling went like a dream. The service you gave is done in such a friendly and business-like fashion. We would like to thank you all for the care and attention to detail that you took. I would have great pleasure in recommending JD Hall"
"Just to say many thanks for all your hard work and the successful purchase of our property. Your level of customer service is exceptional! We have both felt looked after and our property was in capable hands. I really do believe you made a difference for us. It has been a pleasure to have you as our agent and would not hesitate in recommending you to others. We wish you and your business all the best in the future!" "We want to thank you and all your staff whoÂ have been incredibly supportive and helped us cope in a difficult situation. We found your approach and attitude extremaly professional and helpful, so thank you very much. We wish you all the best." "Thank you once again for you hard work during the sale of our property. It was not an easy process and we really appreciate everything you did to get the sale over the line. Your service was professional, but with a friendly and personal approach (this is why I chose you over other agents). I realluy couldnt fault the service we received right from the initial valuation through to completion. I would definitely use JD Hall again in the future and will recommend you to family and friends." 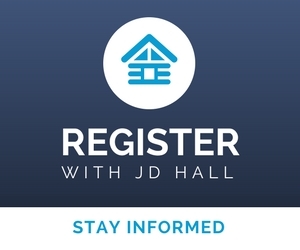 "JD Hall promised to find me a buyer within a week and it took them less than that to find one for the full market value. They dealt with my concerns quickly and efficiently, I cannot thank them enough. Are you getting the best rental income for your property, without paying high agents fees? We can make the most of your investment. You will be impressed with the savings you will make by using us, as YOUR AGENT OF CHOICE. We believe in full transparency in our fees and costs.We offer a highly professional (ARLA qualified) and efficient range of services. As SPECIALISTS IN RESIDENTIAL LETTINGS we keep up to date on laws and regulations governing todays rental market. Our site contains a wealth of information for both landlords and tenants for the TW14/TW15/TW16 areas. Please feel free to contact us, if you require further information.